In regards to music, the phrase; Blood on the Dance Floor, is something that many fans of Michael Jackson will associate with him. However, for those who are into electronica and Crunkcore, it means something completely different as it is the name of an electronic music band that comprises of the duo – Jayy Von Monroe and Dahvie Vanity. Monroe has since left the group and has been replaced by Fallon Vendetta. Jayy Von Monroe, who is a guitarist and singer, first made his name with his former band before leaving to pursue a solo career. Apart from music, he is also a crossdresser who is known as The Dahli. The former Blood on the Dance Floor member was born Jeremy Brian Griffis in Orlando, Florida on August 17, 1991. While there is no much information about his father, it is known that he is close to his mother, who is quite popular on Twitter although her name is not known. While growing up, he was a very rebellious kid who was either getting into one trouble or getting out of another. During this time, however, he had always set his eyes on having a music career. This prompted him to cut short his education when he was in high school to pursue his musical career. 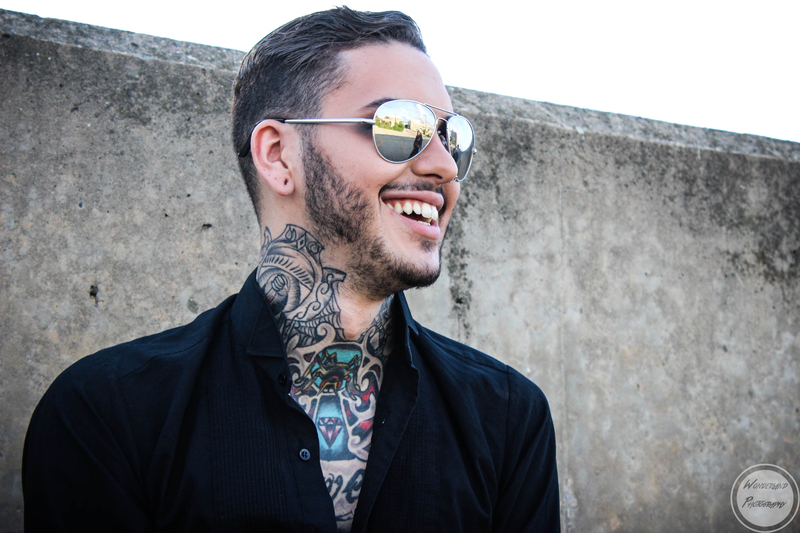 Later after dropping out of school, Jayy Von Monroe joined Blood on the Dance Floor in 2009. The band was first started by Dahvie Vanity (Jesus David Torres), Christopher Mongillo, and Rebecca Fugate as Love the Fashion in 2006. By 2008, only Dahive Vanity was still with the group as the other two had left. In their place, Garrett Ecstasy was the man that later joined, followed by Matty M for a short while before they both left to be replaced by Monroe as the vocalist and guitarist. On his part, Monroe remained with the group as its only member apart from Dahvie Vanity until 2016 when he called it quits. Nonetheless, there were also other touring members. As a part of the group, Monroe has released a number of albums, including Epic (2010), All the Rage!! (2011), Evolution (2012), and Bad Blood (2013). Other albums he released with the group are Bitchcraft (2014) and Scissors (2016). After leaving Blood on the Dance Floor, the group continued with Fallon Vendetta while Jayy Von Monroe began his career as a solo artist. He has thus far, released some singles including “To Burn” and “Uneasy”. As regards his family life, there is very little that is known. The name of his father or even the relationship between the two has never been a thing discussed in the public domain. His mom is only known as “Mom Monroe” on different social media platforms, including Facebook and Twitter where she is always giving him her unflinching support. Since the start of his career, she has been one of those to have always been on his side. Also, he is said to have half-sisters, although their names, like that of everyone in his family, is not known. He once took to YouTube to drop a birthday message to someone he said was his sister, Tabby. In the message, he apologized that he was unable to make it to her birthday. As of 2019, Jayy Von Monroe was still not married. The former BOTDF member had come out years ago as gay and was in a gay relationship in the past. In 2009, he was linked to his gay partner, Daniel Griffis. The two would remain together until 2012 when they decided to end the relationship. Apart from his music, Jayy Von Monroe is a cross-dresser who uses the persona, Dahli Delia (The Dahli). His interest in becoming a drag queen began since he was 14, but it was not until much later that the Drag Supermonster sensation began. Today, he has good followership on social media. On Instagram, he has over 66 thousand followers. According to Monroe, he left the band because he felt abused by the band and earlier, when he began, Dahvie would refuse to pay him and so he couldn’t go and see his mother, something that affected his relationships. Also, he is not happy with the lyrics of the band which he said are too sexual and are fed to kids. Jayy Von Monroe is taller than the average American man thanks to his height of ‎6 feet 1 inch (185 cm) and a weight of ‎75 kg (165 pounds).